Once you’ve selected a remodleing company and decided on a design that will turn your home into the place you’ve always dreamed of, the work can actually begin. It’s an exciting time! However, as a homeowner, you may not be sure exactly how involved you should be once construction begins. After all, it’s your house and you still live there. What’s the right amount of involvement? When is it OK to poke your head in to see what’s happening? Because it’s your house, you have every right to take a look at what’s going on. And frankly, your project leader may want to ask your input during the process. There are some protocols that help ensure everyone’s safety and that keep the work moving forward smoothly. You’ll want to stay out of the way as much as possible. This protects you from injury and it makes it a lot eaiser on the contractors if they’re not trying to work around you. If you need access to an area, make sure the workers know you’re there, and then let them know when you’re done. This ensures your safety (and theirs) and it allows them to focus on what they’re doing. 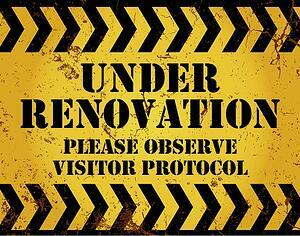 At the beginning of the process, your remodeler will provide you with a point of contact. This is whom you should approach with any questions or concerns. Your builder may have subcontractors for work such as electrical or plumbing. You can interact with them of course, but if you see something you think isn’t what you asked for—or you have a question—go to your point of contact. This helps to avoid confusion. Let the workers do their jobs. Some homeowners find it hard to resist offering advice or suggestions to the craftsmen. It’s important that you let them do the job for which they’re being paid. It will probably go faster that way, and (if you’ve hired a good contractor) there’s a good chance they know the job better than you do. Relax and enjoy the results. Again, if you see something that concerns you, bring it up with your point of contact and let him or her resolve the issue. We understand that you’re excited about what’s happening in your home. By all means we want you to feel free to engage with the workers and express your interest. Good craftsmen are proud of their work and often love to show you what they’re doing. Just make sure you don’t interfere with their ability to perform and that you don’t compromise their (or your) safety.